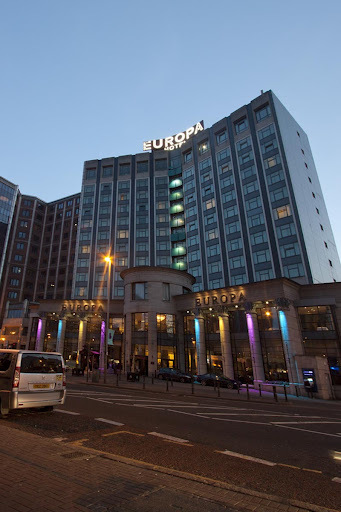 The Europa is a very interesting hotel, full of history and mayhem – it’s the most bombed hotel in the world (although not always was it the target!). Bill Clinton even stayed here on his peace talk visits (although I am sure his rooms were a bit larger and more expensive than ours!). We had an executive room with a very comfortable bed, arm chairs, robes, even a sensor light in the bathroom for those disorienting night time visits! We could’ve done with some face cloths, though! We arrived early in the day, and left our car and luggage with the concierge, Jonathan. He also took care of booking a black cab tour of the city for us. Highly recommended thing to do – we went with Jim at NI Black Taxi Tours, and we were very happy with the experience – see my review on TA. Later in the afternoon we visited the bar, The Lobby. Were disappointed that there were no peanuts or crisps for sale to have with our wine (which is unusual – or is that just me?). The location of the hotel is perfect – right in the centre of the action, and within walking distance to pretty much everywhere. We even walked back from our visit to the Titanic Belfast Exhibition, which is a must see. All staff members we dealt with were attentive, friendly and helpful – although I think expecting one concierge to deal with collecting cars and helping people with their luggage during the morning check out period was a bit much. The poor guy was run off his feet, and some impatient guests we witnessed didn’t help matters. Maybe the hotel needs to put another staff member on during this busy period to help everybody out. 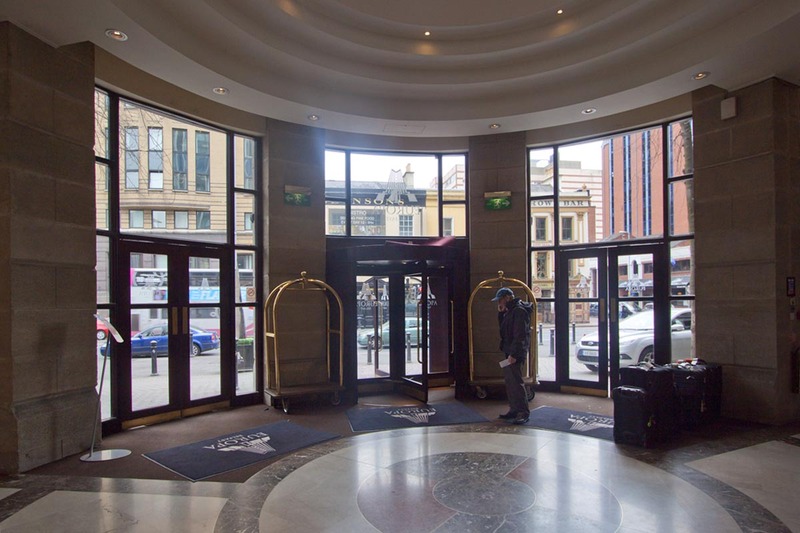 This entry was posted in Accommodation, United Kingdom Accommodation and tagged Bill Clinton, Most Bombed in World, NI Black Taxi Tours, The Lobby, Titanic Belfast Exhibition by bontaks. Bookmark the permalink.